You might not know this, but about 1 month ago I decided to start eating a primarily gluten-free, and dairy-free diet. The changes I have experienced are amazing! I have not only lost more than 10 lbs, but I also feel better, and have a better outlook on life. It is crazy how some dietary tweaks can make such a positive impact. Since I have quite a bit of knowledge of the gluten free lifestyle thanks to my youngest daughter, I know how to bake up some yummy gluten free treats. Not going to lie, at first it was a major learning curve but with years of practice, I have some tasty recipes in my collection. 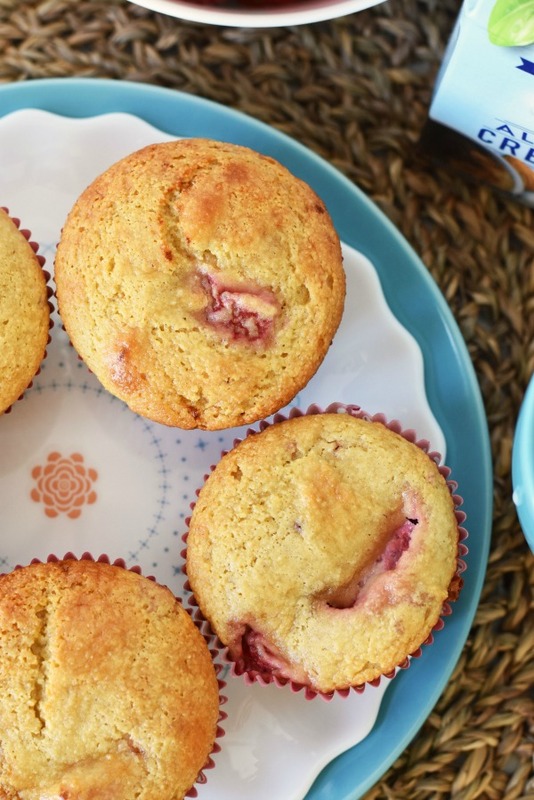 One of them happens to be these Gluten-Free & Dairy-Free Strawberry Muffins. Made with almond flour, they are loaded with clean ingredients and easy to make. 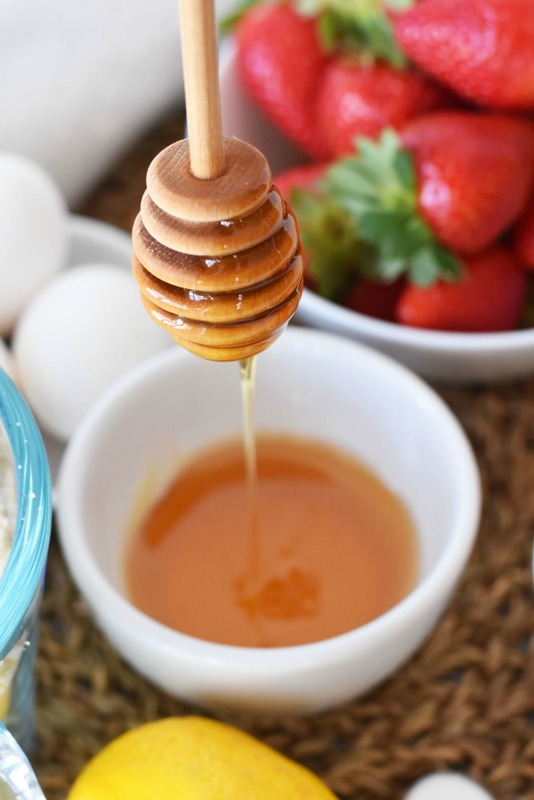 You can also make these low-carb & keto-friendly by subbing the honey for sukrin gold, or stevia & using unsweetened almond milk. 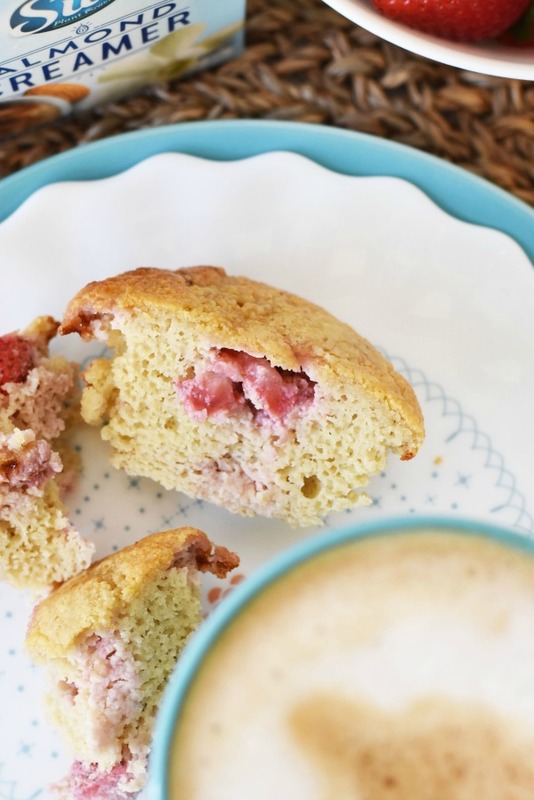 These Strawberry muffins go so well with a nice, hot drink! 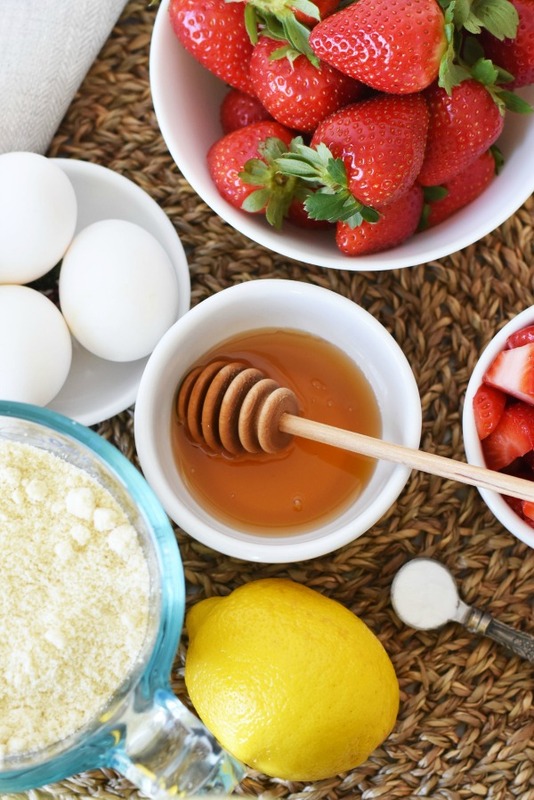 You can sweeten them with honey or go the low-carb route (see below). They bake up so nice & fluffy! These muffins are mega moist and can be made so many different ways. Just swap out the one cup of fruit for another and the possibilities can be endless! 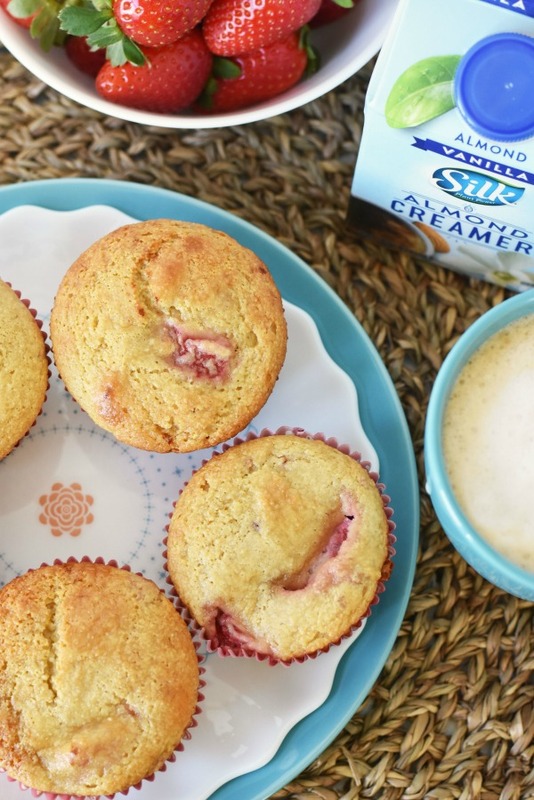 You can even make these muffins keto by swapping the honey for 1/4 cup sukrin gold sweetener, and by using unsweetened almond milk. 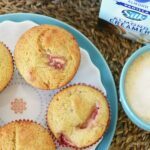 A Gluten-Free and Dairy-free muffin that can easily be made keto & low-carb friendly with two swaps. Fill cupcake wrappers 3/4 of the way. Previous Post: « Dinner Thyme: Fresh Meals in 20 Minutes or Less!